From heroes to villains, these books are overflowing with superpowers! These books have it all, characters with super strength, super speed, invisibility, reading minds, flying, and more. Your little one is going to be inspired and wondering what their own power could be, all while falling in love with reading from these fantastic books. Some are just plain fun, many have wonderful messages, but all of them are SUPER! This is such a cute book! So funny. I love that the friends figure out they're still super, even after they lose their super hair that gave them special powers. :) Fun read! Every super hero gets his powers from somewhere. The young hero of this book, Rocco, thinks his abilities come from his shock of red hair, and the longer it gets, the stronger he becomes. He even has a posse of super friends with wild hair of their own. Our hero is unstoppable--until the day he's dragged to the super evil villain's lair and robbed of his powers. How will he face his friends? Will he ever regain his super hero-ness? A girl who has been watching all along offers the gang a chance to save the day and get their groove back. With bold images that burst with energy from white backgrounds and narration as earnest as Superman himself, SUPER HAIR-O AND THE BARBER OF DOOM is a feel-good and funny book for emergent comic book fans and parents who grew up on them. This book talks about how superheroes have powers that could cause them to do crazy things if they were having a bad day, but they choose to do the right thing and act like superheroes should. This is a great book to demonstrate what you can do to regulate your emotions, and I love that it shows superheroes doing this, as a good standard for kids to emulate. It's ok to have a bad day, but it's what you do with your emotions that matters. Eliot Jones, Midnight Superhero is a fun book about a little boy Eliot who is a quiet little kid playing in his room by day and a masterful, brave superhero defending the world from injustice and danger by night. Most of Eliot's abilities seem not to be superpowers as much as just skill--like stopping a high-powered jet on the world's shortest runway. But Eliot must have super strength because he tows a ship to safety pulling it behind as he swims. This book is a fun book with a subtle message about not underestimating someone just because they might be a little quieter or introverted. Dylan the Villain is an interesting tale of a mom and a dad that have a baby and find out he is a super villain! Unexpected? Certainly. But they love him as though he is the best thing in the world. They encourage all of his villainous activities and help him think he is the best there ever was. He believes it all, until he goes to school. We all know how that goes. There is always someone at school with whom we might compare our powers. Find out if Dylan is the very best, or not. My First Book of Super Powers introduces young readers to beloved DC super heroes and their awesome powers. Just as My First Book of Girl Power introduced young fans to female super heroes and their special powers, this book tackles DC's popular male characters. From Superman's super-strength and X-ray vision to the Flash's super-speed to Aquaman's ability to live under water, this exciting board book explains how each character's powers make him unique and enable him to make the world a safer place. Classic DC art makes this as appealing to grownups as it is to the tiniest aspiring super heroes. With bold illustrations in primary colors this book has a nice variety of heroes; everyone from first responders to princesses to medical professionals to mothers. The rhyming text is consistent and keeps the pace brisk. Ruby loves to play superhero, so when her mother gives her a ñmissionî that takes her into the deep, dark woods, Ruby throws on her red cloak to become ƒ Super Red Riding Hood! Nothing can scare her „ except maybe coming face-to-face with a big bad wolf. What would a superhero do? A story of guts and girl power, this is a fun update on a familiar tale. Like the super-selling MY FIRST SUPERMAN, MY FIRST BATMAN, and MY FIRST WONDER WOMAN books, SUPER HEROES A,B,C, 1,2,3 will appeal to comic book-fan Dads; lovers of bold, classic art; and their babies, toddlers, and pre-schoolers A is for Aquaman and B is for Batmobile in this cool, colorful board book that's sure to make reading time lots of fun for dads. DC's super heroes--from Superman and Batman to Green Lantern, the Flash, Wonder Woman, and many other favorites--illustrate the alphabet and numbers for budding fans. The classic comic book art makes this a great-looking package. From the creators of the New York Times bestselling Ladybug Girl series comes a story about sibling cooperation and play featuring a member of the Bug Squad, Bumblebee Boy! When Sam is Bumblebee Boy, he likes to fly alone, using his imagination to battle dragons, pirates, and tigers. Sam’s little brother, Owen, would like to play with him, but Owen doesn’t have a cape or a mask, and Bumblebee Boy doesn’t need his help. But when more aliens than Bumblebee Boy can handle land on the moon, will he be able to defeat them by himself? Through their imaginary adventures, Sam and Owen discover just how much fun a brother can be, and learn that there are times to play alone and times to play with others. Silly and zany, and armed with the most unusual skills, these heroes are out to save the world-one letter at a time! bubble-Man blows big bubbles at bullies, and laughing lass laughs at lawbreakers! together, these one-of-a-kind defenders represent the ABC's in a way never seen before. Renowned comic-book illustrator bob mcleod has created a full cast of humorous and delightful characters, sure to please anyone in need of a hero to save the day. Discover Norse mythology through the enthralling exploits of all-powerful Odin, mighty Thor, and the trickster Loki. From the bestselling author of Charlie and the Chocolate Factory and The BFG! Matilda is a sweet, exceptional young girl, but her parents think she’s just a nuisance. She expects school to be different but there she has to face Miss Trunchbull, a kid-hating terror of a headmistress. When Matilda is attacked by the Trunchbull she suddenly discovers she has a remarkable power with which to fight back. It’ll take a superhuman genius to give Miss Trunchbull what she deserves and Matilda may be just the one to do it! From the bestselling author of Charlie and the Chocolate Factory and The BFG comes the story of a young girl with an incredible power! To the Gregg family, hunting is just plain fun. To the girl who lives next door, it’s just plain horrible. She tries to be polite. She tries to talk them out of it, but the Greggs only laugh at her. Then one day the Greggs go too far, and the little girl turns her Magic Finger on them. When she’s very, very angry, the little girl’s Magic Finger takes over. She really can’t control it, and now it’s turned the Greggs into birds! Before they know it, the Greggs are living in a nest, and that’s just the beginning of their problems…. "Blazing with energy and saturated with love." 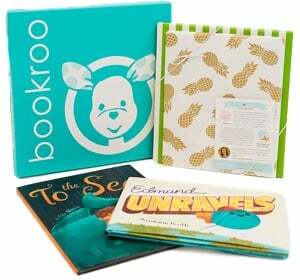 -- Booklist Dad might not have a superhero mask or wear his underwear outside his pants, but his super snores can be heard a thousand miles away, he tells super-funny jokes, and he can even make super-scary monsters go away at bedtime! This vibrant, humorous, and warmhearted celebration of all the incredible things a dad can do is a fun tribute to the specialness of dads (and their superhero children! ).